Kraft had an awareness issue for their new Recipe Makers, gourmet food at home focused, products. The were looking for a big idea execution that would increase their visibility and their credibility for people that cook at home on a regular basis. To address this, we partnered with Bravo to develop a Top Chef Home Edition iPad app and Global Website, that would act as a Kraft sponsored game that people cook play at home. Bringing a gamification element to the joy of cooking, while also making amazing meals. 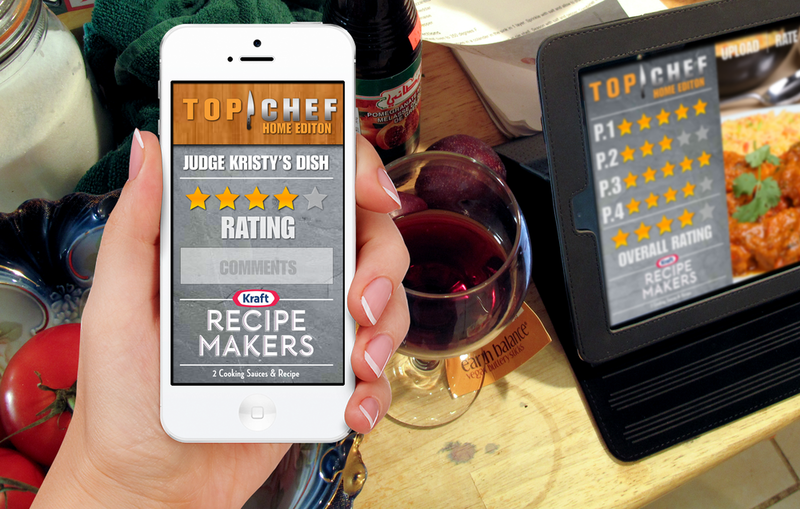 Because we partnered with Bravo to help Kraft grow their Foodie Cred, we increased sales 56% by creating a one of a kind mobile game that brought fans favorite TV show, Top Chef, to their home kitchen. Top Chef Home Edition—a new digital and social extension of the signature culinary competition Top Chef, inspiring show fans and foodies from across the spectrum—from the passive to the passionate. Top Chef Home Edition provides Bravo’s passionate foodie fans with a uniquely interactive Top Chef experience. The online destination is not an extension of the show but instead a place for fans to further their culinary knowledge, via games and challenges, as well as tap into their instinctive online social behaviors. Additionally Bravo and Kraft successfully found a way to organically weave Kraft Recipe Makers into the digital experience in an effort to elevate brand favorability and purchase intent among our viewers. Top Chef Home Edition is a true benchmark of successful brand partnerships and an unparalleled digital experience for Top Chef Fans. •Kraft Recipe Makers received additional halo from its association with Top Chef Home Edition content, including greater brand interest (55%) and elevated purchase intent (50%). Top Chef Home Edition engages casual fans through entertaining, low barrier-to-entry activities within the “play" section while also giving more evolved foodies ways to improve their culinary skills via original and classic quick-fire challenges in the “cook" section. The “share" section taps into viewers innate behaviors of posting images of their food online. 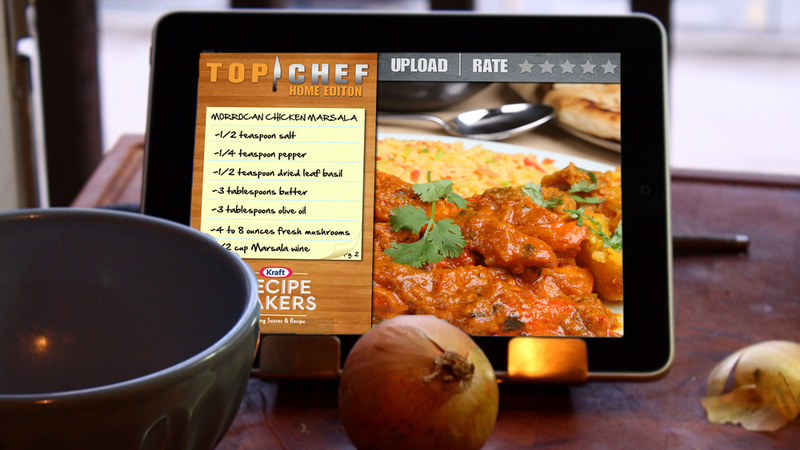 Here fans can upload food related imagery on their social channels and tag it with #topchefhome. To provide an added level of user recognition, each week Top Chef Brooke Williamson selects her favorite user submissions and promotes them on her social media platforms. Additionally, TCHE is Bravo’s first responsively built site adapting to desktop, tablet and mobile platforms. Starcom and Liquid Thread, which represent Kraft, wanted to partner with Bravo to create a unique Top Chef digital and social initiative to help elevate their new product, Kraft Recipe Makers, and bring the Top Chef experience into the homes of our viewers. Together we wanted to give Top Chef fans and passionate home cooks a credible, authentic way to experience the appreciation that they see Top Chef contestants receive during the judges table within the show.